Administrative Law Judge (ALJ) Peter Paul Castillo, Office of Administrative Hearings, Special Education Division (OAH), State of California, heard this matter in Oakland, California, on November 20 and 21, 2006. Jennifer E. Torbohn and Sally Coghlan McDonald, Attorneys at Law, represented Student. Student was not present during the hearing. Student’s Mother was present during the entire hearing. Mark S. Williams, Attorney at Law, represented the Berkeley Unified School District (District). Also present on November 20, 2006, was Elaine Eger, District’s director of special education. Felton Owen, District’s director of student support services, was present on November 21, 2006. On June 8, 2005, Student filed a request for mediation and due process hearing in OAH Case No. N2005070046, a matter in which OAH issued a decision on December 14, 2005. On November 21, 2005, Student filed a request for mediation and due process hearing in OAH Case No. N2005110745, a matter in which OAH issued a decision on February 16, 2006. Both cases remained open after the decision to determine the nature and extent of compensatory education for Student. OAH consolidated both matters for hearing regarding compensatory education on July 6, 2006. The evidentiary hearing regarding compensatory education ended on November 21, 2006, and the record remained open to receive written briefs. OAH received Student’s closing brief by facsimile transmission on December 4, 2007, and the District’s closing brief by overnight mail on December 5, 2006. 1 The record closed on December 5, 2006. Both prior decisions held that the District denied Student a Free and Appropriate Public Education (FAPE) and that Student was entitled to compensatory education and services. However, OAH required more information to determine the nature and extent of this compensatory education. Thus, the issue is: Based on the District’s failure to provide Student with FAPE from March 14, 2003, through December 31, 2005, what is the nature and extent of the compensatory education Student requires to remediate for Student’s lost educational benefits? Both the District and Student are in general agreement regarding the services Student requires as compensatory education. The dispute between the parties concerns who will provide these services, where these services will be provided and who will oversee the provision of services to Student. Student requests that Mother be designated as the service coordinator because she knows most about Student’s needs and is in the best position to coordinate all the services Student needs. Student also asserts that the District’s offer of placement in a District special day classroom at Oxford Elementary is not appropriate because the classroom teacher and the District’s proposed service providers do not have the appropriate qualifications to instruct Student. Student also contends that the classroom is not appropriate because the District is still not providing Student with a medically fragile classroom, and that Student should receive services in his home. 1 At the close of hearing, the Administrative Law Judge instructed the parties to submit closing briefs to OAH and the opposing party, and that facsimile transmissions must be completed by 5:00 p.m. on December 4, 2006. On December 4, 2006, OAH gave permission to Mr. Williams to send a copy of the District’s closing brief by overnight mail provided Mr. Williams served Student’s counsel by facsimile, unless the parties agreed otherwise. District’s counsel was not able to complete facsimile transmission of its closing brief to Student’s counsel by 5:00 p.m. on December 4, 2006, due to problems with transmitting a copy. Mr. Williams emailed a copy of the closing brief to Ms. Torbohn at approximately 7:00 p.m. after receiving permission to serve District’s closing brief by email. 2 Dr. Nelson’s testimony was provided by way of declaration and attached assessment in accordance with an agreement by the parties. 3 Catherine Sementelli’s testimony was provided by way of declaration and her attached assessment in accordance with an agreement by the parties. 4 Biobehavioral state relates to an individual’s ability to self-modulate external and internal stimuli central nervous system responses, like loud sounds for an external stimulus and hunger for an internal stimulus. 5 Orienting response relates to an individual’s ability to orient oneself to sensory stimulus, such as knowing where a sound is coming from and turning one’s head to the sound. 6 Learning channels involves the sensory approach the individual uses to obtain information, such as tactile by feeling an object. 7 Approach-withdrawal examines things a person likes and dislikes to assist in designing interventions that focus on the person’s favored items. 8 Dr. Brown has known Student since 2000 and worked with Student and his family for the next three years. Dr. Brown and Student have met and interacted since then at functions for deaf-blind Student. Dr. Brown testified at the first hearing regarding Student’s abilities, limitations, and lost educational opportunities caused by the District’s denial of FAPE. 9 Dr. Brown’s testimony was provided by way of declaration per agreement by the parties. 11 Although Adams involved an Individual Family Service Plan and not an IEP, the Ninth Circuit Court of Appeals applied the analysis in Adams to other issues concerning an IEP (Christopher S. v. Stanislaus County Off. of Education (9th Cir. 2004) 384 F.3d 1205, 1212), and District Courts within the Ninth Circuit have adopted its analysis of this issue for an IEP (Pitchford v. Salem-Keizer School Dist. No. 24J (D. Or. 2001) 155 F. Supp.2d 1213, 1236). The District continues to assert that the special day classroom that it offered in the May 27, 2005 Individualized Education Program (IEP) is appropriate to meet Student’s needs. The District argues that Student needs to attend a District classroom to obtain the socialization that Student cannot receive if educated at home. The District contends that Ms. Eger is qualified to be Student’s service coordinator, or in the alternative, Catherine Nelson, Ph.D. will be the interim service coordinator until a permanent service coordinator can be selected and trained. The District insists that its personnel are qualified to provide Student with all required services. 1. Student, born March 14, 1996, lives with his mother within the District. Student qualifies for special education under the classification of “deaf-blind.” Student is cortically blind and cortically deaf from which he has periods where he has limited vision and limited hearing. Student is medically fragile, and suffers from conditions including cerebral palsy, epilepsy, fluctuating muscle tone, poor head control and problems with temperature regulation. He requires a full-time nurse. Student also requires the use of a wheelchair or walker to ambulate. Student is able to hear sounds, especially with the use of an amplification system, and has limited visual abilities. Student can communicate with tactile signing, in which a person signs into Student’s hand. 2. The two prior OAH decisions determined that the District failed to provide Student with FAPE from March 14, 2003 through December 31, 2005. During the prior two hearings, Student contended that the amount of compensatory education should be one hour of compensatory education and services for each hour of instruction lost. Student requested that the District create a $1,000,000 trust fund for Student’s compensatory education and that Mother should control the delivery of compensatory education. The prior decisions rejected Student’s request for one hour of compensatory education for each hour of education lost. [A]ssess Student in all areas of suspected disability, including but not limited to: communication, cognition, vision, academics, self-help, gross and fine motor ability, orientation and mobility. The assessments in all areas must include the written observations by all assessors of Student in his classroom environment. When the assessments are completed and reports generated, after conferring with Student regarding a meeting date and time, District will convene and complete an IEP team meeting. District will invite Student’s attorney to attend. The purpose of the meeting will be to review the assessments, including the classroom observations, and to develop an agreed-upon award of compensatory education services. 4. The District was to complete the assessments and required reports by April 28, 2006, and provide these assessment reports to Student’s Mother and attorney by May 5, 2006. The Decisions required the District to convene an IEP team meeting by May 19, 2006, to develop an agreed-upon award of compensatory compensation services, and notify OAH by May 26, 2006, regarding the status of the matter so that further hearing dates may be calendared if necessary. On May 26, 2006, the District informed OAH that parties had not reached an agreement regarding compensatory education and that the District had not conducted the assessments required by the prior Decisions. 5. Student did not attend a class or school from January 1, 2006, through the present. Student received instruction from his Mother, Aunt, and Grandmother in his home. 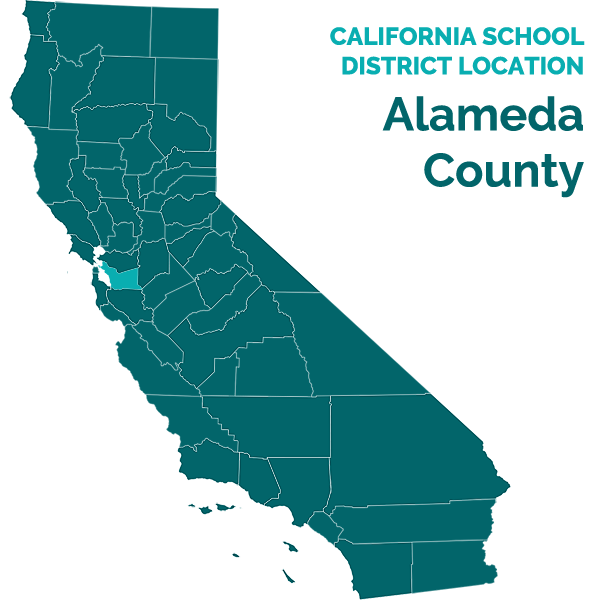 Student is presently home-schooled by his Mother, who applied for home-school status with the California Department of Education on October 14, 2006. The District did not convene an annual IEP meeting in May 2006 due to the pending litigation between the parties. 6. Mother designed a home-school curriculum for Student based on the content standard required to be taught to all fifth grade students. Student currently has a computer, which needs a new keyboard, and Assisted Augmentative Communication (AAC) devices provided by the District. The AAC devices are two switches, large buttons, that Student uses to communicate through the computer. Student also has touch board, known as Intellikeys, that is connected to his computer. Student can communicate by pressing overlays on the touch board that Mother designed and programmed into the computer. For example, Student uses an overlay related to an area of instruction so that Student may answer questions. 7. The District did not conduct the assessments by May 26, 2006, due to a dispute between the District and Mother regarding the scope of the District’s proposed assessment plan. Additionally, the Assistive Technology (AT) and AAC assessment report by Partners for Augmentative Communication and Technology (PACT), commissioned by Mother, had not been completed, even though PACT had completed the assessment before the January 17, 2006 hearing. 8. The District subsequently retained the services of Dr. Nelson, a professor at the University of Utah. 2 Dr. Nelson has extensive experience regarding the education of deaf-blind students, and has conducted numerous assessments of deaf-blind students. Dr. Nelson could not assess Student in August 2006, because the parties still disputed whether Dr. Nelson should assess Student’s cognitive functioning. 9. Dr. Nelson agreed with Mother that his assessment should not cover Student’s cognitive functioning because of the impossibility of conducting a cognitive assessment on a deaf-blind child. The District removed the cognitive assessment from its assessment plan based on Dr. Nelson’s discussion with Mother. Dr. Nelson could not assess Student on September 28 and 29, 2006, because Student was having surgery related to his seizure activity. Dr. Nelson assessed Student on October 19 and 20, 2006. 10. Catherine Sementelli and Michele Bishop from PACT completed the AT and AAC assessment report on October 20, 1006, and provided the report to Mother on November 9, 2006. 3 The delay in getting PACT to complete its report was caused in part by Ms. Sementelli and Ms. Bishop taking an extended vacation during the summer of 2006. 11. Dr. Nelson reviewed the prior OAH decisions, the May 27, 2005 IEP; prior reports regarding Student; and spoke with Mother and Liz Hartman, a qualified deaf-blind specialist who had performed some studies regarding Student in preparation for an assessment that she never completed. Dr. Nelson had Mother complete a questionnaire, Choosing Outcomes and Accommodations for Children, regarding Student’s present status and future outcomes Mother would like for Student regarding socialization, participation in activities, communication, personal care management, education, and school. A younger cousin of Student was present during a portion of the assessment and Dr. Nelson observed Student’s interaction with his cousin. 12. Dr. Nelson used the van Dijk Framework for Assessment that is designed to assess deaf-blind children. Dr. Nelson assessed Student in the areas of biobehavioral state, 4 orienting response, 5 learning channels, 6 approach-withdrawal, 7 memory, social interaction, communication and problem solving. Dr. Nelson identified Student’s areas of strength in these areas and made recommendations for future interventions. The parties did not dispute the findings and recommendations in Dr. Nelson’s assessment. 13. Dr. Nelson experienced difficulty in assessing Student because Student suffers from frequent seizures. Student takes medications to control his seizures that appeared to Dr. Nelson to affect Student’s mental and physical alertness. 14. Dr. Nelson noted that Student is isolated due to his home instruction and lacks adequate socialization with peers. Student’s interaction with other children consisted of visits by cousins and family friends. Dr. Nelson noted that Student struggles when overwhelmed with too much information, but does enjoy being with and interacting with other children. Dr. Nelson noted that Student enjoyed his interaction with his cousin, although Student had difficulty with sharing. According to Dr. Nelson, Student required socialization services by an outside provider in the amount of 200 hours for one year. 15. Dr. Nelson noted that Student had difficulties in communicating related to the limitations of Student’s AAC devices. Dr. Nelson felt that since Student is a tactile learner, Student should learn to communicate through Braille, and recommended a jumbo Braille reader. Dr. Nelson noted that Student enjoyed listening to stories and music and used an I-Pod. Dr. Nelson made specific recommendations regarding the AAC and AT devices that Student should have to better communicate and learn, such as a switch that allows Student to turn appliances on and off. Dr. Nelson also found that Student requires AAC therapy to instruct Student, and others who interact with Student, how to communicate with these devices. 16. Dr. Nelson also noted that Student would benefit from a FM auditory system that would allow Student to better-hear a person speaking to Student. She also recommended a call switch mounted closer to Student’s head in his wheelchair to permit Student to request assistance. Because communication with Student must occur with Student at close range, Dr. Nelson recommended that Student have a communication intervener, who is a paraprofessional specifically trained with deaf-blind students and communication. 17. Dr. Nelson observed Student having clear orienting responses to sounds, smells and tactile stimulus. Dr. Nelson observed Student listening and following sounds with his head, and signing or using his AAC device to communicate for food when he heard someone state “jelly bean” or “ice cream.” To assist Student to communicate, Dr. Nelson recommended that Student have an Itinerant Teacher for the Deaf to assist in developing Student’s auditory skills, and an orientating and mobility specialist to assist Student in orientating himself to sensory stimuli. Dr. Nelson recommended occupational therapy to improve Student’s tactile abilities and use of his hands, and to improve Student’s upper body position that will allow Student to better use the recommended technological communicative devices. Dr. Nelson also stated that Student requires the services of a vision specialist to assist Student with Braille and to maximize his limited vision. 18. Dr. Nelson recommended that each member of Student’s service team receive regular training regarding the provision of services and education of deaf-blind Students. Dr. Nelson stated that implementation of Student’s compensatory education plan required an individual to coordinate the work and training of Student’s team members and to be a single point of contact for Mother. Dr. Nelson stated that the service coordinator should spend approximately 15 hours-per-week. 19. Mother retained the services of PACT in September 2005 to perform an AT and AAC assessment, and to provide consultative services. PACT consulted with Mother through July 2006. To prepare the assessment, PACT spoke with Mother and David Brown, Ph.D., an educational specialist with California Deaf-Blind Services, 8 and reviewed the May 27, 2005 IEP and prior assessments and reports regarding Student. 20. PACT’s assessment report mirrors Dr. Nelson’s findings and recommendations regarding Student’s visual and auditory abilities, Student’s ability to work with his existing AT and AAC devices, and the AT and AAC services and tools Student requires to further his educational and socialization opportunities. PACT observed that Student used his AT and AAC devices to engage with others and accomplish a wide variety of tasks. 21. PACT recommended that Student receive 120 minutes-per-week of AAC intervention and two-to-four hours-per-month AAC consultation and training. The report also proposed that Student receive 60 minutes-per-week of AT intervention and six-to-eight hours-per-month of AT consultation to develop academic, functional and leisure based activities. 22. PACT also recommends the investigation of a new barrier vest for Student to improve his posture since Student had outgrown his existing vest. For the computer touch board, PACT recommended use of tactile overlays. For auditory development, PACT suggested that an acoustic enhancing device, which would include a FM auditory system. 23. The parties were in general agreement regarding the services outlined in Dr. Nelson’s and PACT’s assessments that Student requires for compensatory education. The parties dispute who would control the implementation of services, service providers, and where Student would receive these services. 24. Student continued his request for one hour of compensatory education for each hour of education lost, which would be approximately 8,000 hours of missed education. Student also requested an additional 1,000 hours to remediate for lost educational opportunities. Student’s Mother would be in charge of determining how to allocate these 9000 hours over a five-year period. Mother did not state how she would allocate these hours to ensure that Student received the educational benefits that Student should have received if the District had provided Student with FAPE. 25. Dr. Brown reviewed and concurred with the recommendations in Dr. Nelson’s report. 9 Dr. Brown properly observed that implementing Dr. Nelson’s recommendations for compensatory education, along with Student’s May 27, 2005 IEP, would require Student to be in school for over 12 hours a day. While some services may overlap, not enough hours exist in the day to ensure that Student receives the compensatory education for lost education, in addition to meeting Student’s present educational needs. Student established that the compensatory education services must to be spread over several years. Dr. Brown correctly noted that the worst outcome for Student would be to give up on Student’s education, especially with the progress Student has made due to his Mother’s instruction. 26. The key person to ensure that Student’s educational needs are met is a service coordinator with experience in working with deaf-blind Students. The District does not have a qualified District person to be this service coordinator. The District’s lengthy failure to provide Student with FAPE, as noted in the prior two decisions, creates serious concerns regarding the District’s ability to coordinate the extensive services Student requires. However, Mother also does not have the required expertise to coordinate these services. Therefore, Student requires an independent service coordinator to ensure that Student receives the needed services, to coordinate the numerous service providers and make sure team members receive required deaf-blind training. 27. District requests that Student be educated at Oxford Elementary in the special day classroom of Hali Hammer, while Mother wishes that Student be educated at home. Student’s continued education at home will only increase his isolation and prevent Student from obtaining needed socialization. Student’s home is not the least restrictive setting for Student. Student needs to be educated in an appropriate classroom for medically fragile students. 28. The District offered Ms. Hammer’s classroom in the May 27, 2005 IEP. The February 16, 2006 Decision determined that Ms. Hammer’s classroom was not appropriate to meet Student’s unique needs since the classroom lacked required computer equipment and a lift. Also, the classroom included incompatible students and Ms. Hammer was not qualified to work with deaf-blind Students. The District did not correct the deficiencies noted in the February 16, 2006 decision regarding Ms. Hammer’s qualifications, or the appropriateness of the proposed classroom. 29. Mother stated that she had visited several appropriate medically fragile classrooms in San Francisco, Oakland and Marin County in the past several years. Mother did not assert that Student is presently unable to attend a medically fragile classroom. However, it is not known whether at present an appropriate medically fragile classroom exists for Student outside of the District as neither party has investigated this option since the May 27, 2005 IEP meeting. 30. Other than Ms. Hammer, the District established the qualifications of other District personnel to provide services to Student. While some District personnel may need additional deaf-blind training, this training can be implemented and coordinated by the independent service coordinator. 5. To determine whether a district offered a student a FAPE, the analysis must focus on the adequacy of each district’s proposed program. (Gregory K. v. Longview School District (9th Cir. 1987) 811 F.2d 1314.) If the district’s program was designed to address the student’s unique educational needs, was reasonably calculated to provide student some educational benefit, and comported with student’s IEP, then the district provided a FAPE, even if student’s parents preferred another program and even if his parents’ preferred program would have resulted in greater educational benefit. 8. IDEA empowers courts to grant request for compensatory services as the court determines is appropriate. (Burlington Sch. Comm. v. Massachusetts Dep’t of Educ. (1985) 471 U.S. 359.) On the theory that Congress did not intend the IDEA to entitle disabled children to a free education only where a child’s parents are able to pay for private placement during a legal challenge to proposed services, Burlington has been extended to allow district courts to grant compensatory educational services to remedy past deprivations caused by violations of the IDEA. Based on the District’s failure to provide Student with FAPE from March 14, 2003 through December 31, 2005, what is the nature and extent of the compensatory education Student requires to remediate for Student’s lost educational benefits? A. Pursuant to Factual Findings 13 through 24, Student requires as compensatory education the services recommended by Dr. Nelson and PACT for the District’s denial of FAPE from March 14, 2003, through December 31, 2005. B. Pursuant to Factual Finding 18, the implementation of Student’s compensatory education plan and on-going educational services must be overseen and coordinated by a service coordinator. Pursuant to Factual Finding 26, neither a District staff member nor Mother is qualified to be this service coordinator as Student requires an independent service coordinator. C. Pursuant to Factual Findings 14 and 27 through 29, Student needs to be educated in a classroom to obtain the educational benefit of being with peers, especially socialization. Student requires a medically fragile classroom. Ms. Hammer’s special day classroom at Oxford Elementary is not an appropriate placement for Student. Student’s home is not the least restrictive environment if the parties can locate an appropriate classroom for medically fragile students that would accept Student. D. Pursuant to Factual Findings 30, other than Ms. Hammer, District personnel are qualified to provide the compensatory education services to Student. A. A full-time communication intervener trained in tactile sign. B. A full-time nurse. The nurse shall not also be the communication intervener. C. Speech and language services for two times per-week, thirty minutes per-session. D. Occupational therapy one time per-week as direct services for one hour, and thirty-minutes-per-week of consultation services. E. Visually impaired support services one time per-week for 40 minutes. F. A socialization or inclusion specialist who shall provide Student with 200 hours of services. G. Adaptive physical education, physical therapy, and orientation and mobility services designed to address Student’s needs noted in Dr. Nelson’s report. H. Two hours per-week of AAC intervention and two per-month AAC consultation and training. I. One hour per-week of AT intervention and six hours per-month of AT consultation to develop academic, functional and leisure based activities. J. A weekly one-hour team meeting to be attended by all team members to coordinate services to Student and to provide training. 2. Within 30 days of this Order, the District shall employ an independent services coordinator to coordinate the services in the Compensatory Education Plan and the May 27, 2005 IEP, and to train the personnel who will provide Student with the required services. The service coordinator shall be employed for 15 hours per-week. 3. The District may provide the services identified in the Compensatory Education Plan with District personnel, unless the services are presently provided by an outside provider pursuant to the May 27, 2005 IEP. 4. The District shall provide Student with a “Tango” or “Flash” communication device, a new computer keyboard, jumbo Braille reader, an American Printing House for the Blind “Light Box,” I-Pod adaptive device, Able Net Power Link 3 Switch, FM auditory system, switches that Student can use in his wheelchair and walker, replacement barrier vest, if needed, and tactile overlays for Student’s Intellikeys, within 60 days of this Order. The District is responsible to ensure that these devices remain in good working order and replace immediately any inoperable equipment. 5. The District shall provide Student the Compensatory Education Plan in Student’s home until an appropriate medically fragile classroom can be provided to Student. The District shall commence immediately to identify an appropriate medically fragile classroom for Student outside of the District. The District shall inform Mother and Student’s counsel within 45 days of this Order of the District’s findings, and to convene an IEP meeting within 60 days of this Order to discuss the District’s findings and for the District to make an offer of placement. 6. Except for the socialization or inclusion specialist, the District shall provide Student with the Compensatory Education Plan for five years, including Extended School Years, after the effective date of this Order, unless agreed to otherwise by the parties. The District shall provide the socialization or inclusion specialist for one year after the effective date of this Order.